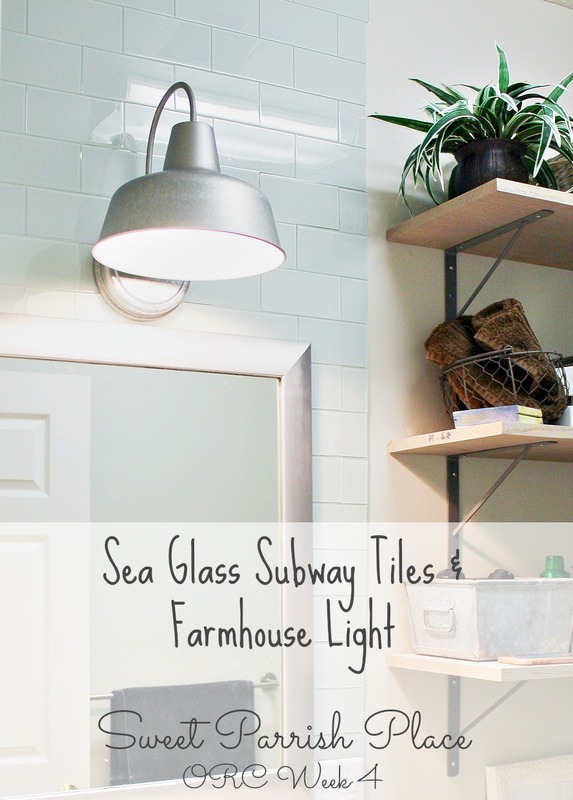 Today I am sharing an update you can make in your home in an afternoon, how to update electric outlets and wall plates. Hey friends! We recently made an upgrade to our electric outlets in our dining room that I want to share today. 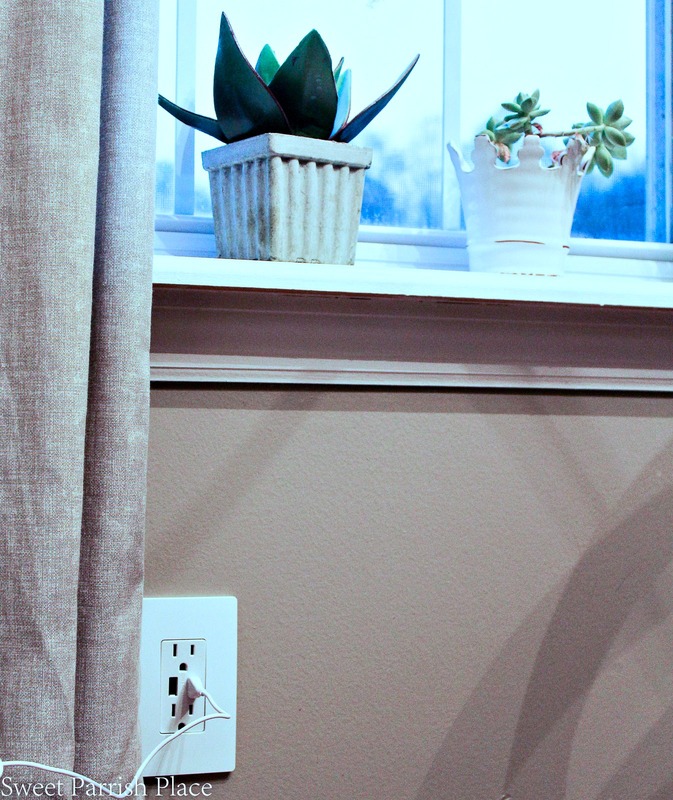 The awesome team behind Legrand reached out to me a few months ago and offered to provide the supplies for us to update our electrical outlets and switches in one room of our home. 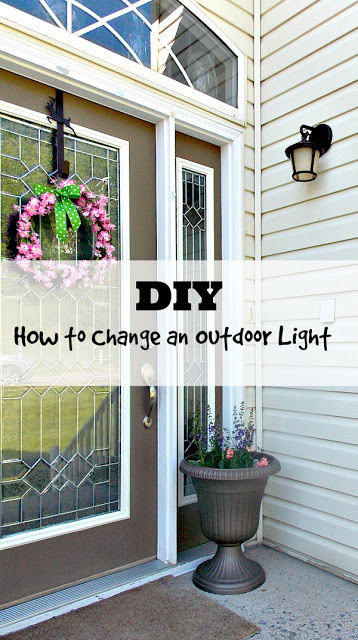 I was a little intimidated by this at first, and afraid that this was too complicated of a project for our lightweight DIY skills, but I really loved the thought of having fresh new and up to date outlets and switches, so we decided this was a project worth taking on. And we are so glad we did! We were able to get this done in one afternoon, and the outlets look so much better, plus they are more functional for our family. 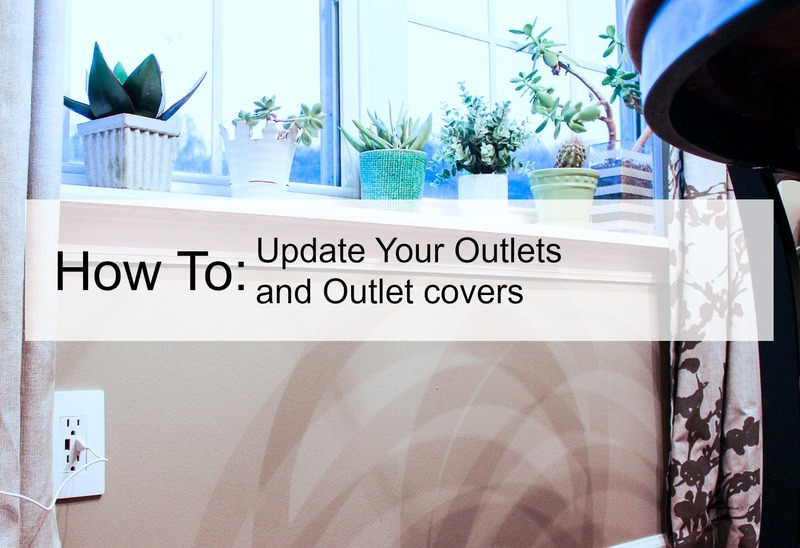 So today I want to share with you how to update your outlets and outlets covers. You can see below a before picture of what our old outlets looked like, and I think the photo is self explanatory. 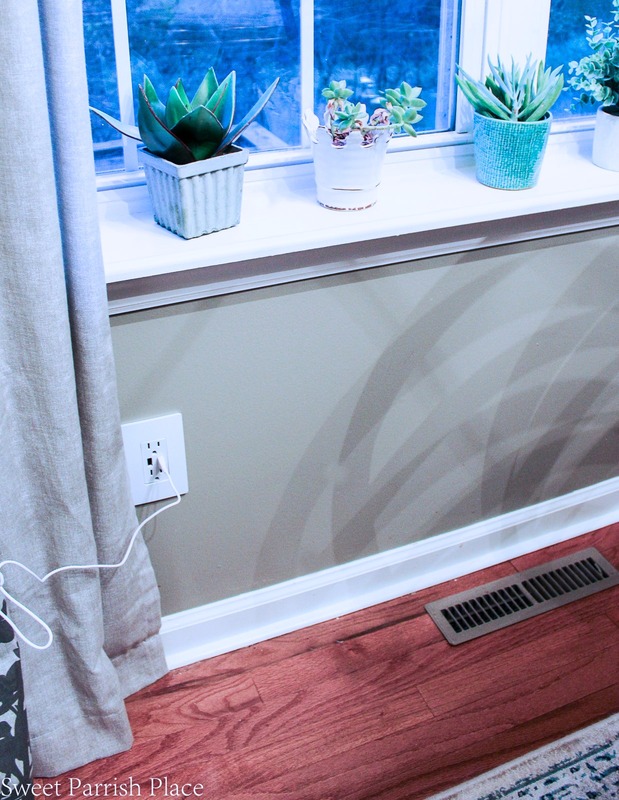 Who wouldn’t jump on the chance to change out their electric outlets if your current outlets look like this? Now, I have to admit, I am partially responsible for the state of the old outlets. 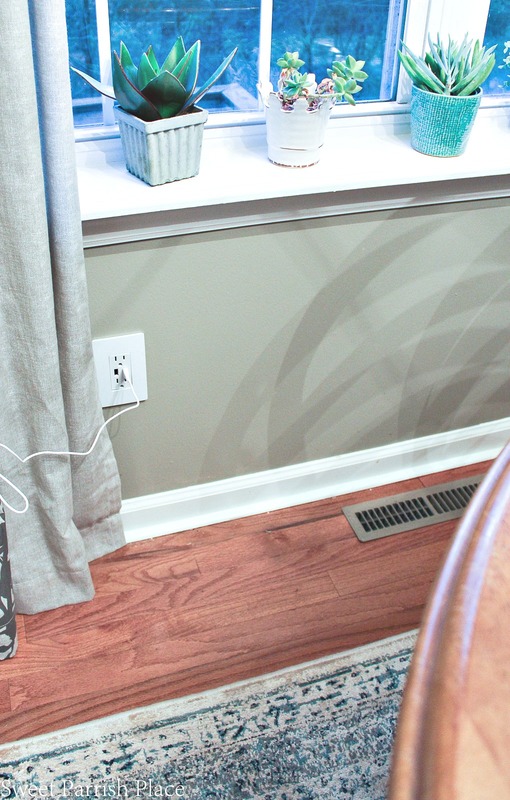 I had the brilliant idea when I painted the dining room and the kitchen to leave all of the outlets attached and paint them the same color as the wall. In theory, I guess it was a good idea. At first, they looked fabulous! I was so proud of myself! But after a couple years of wear and tear, the paint was chipping and they were looking really sad. 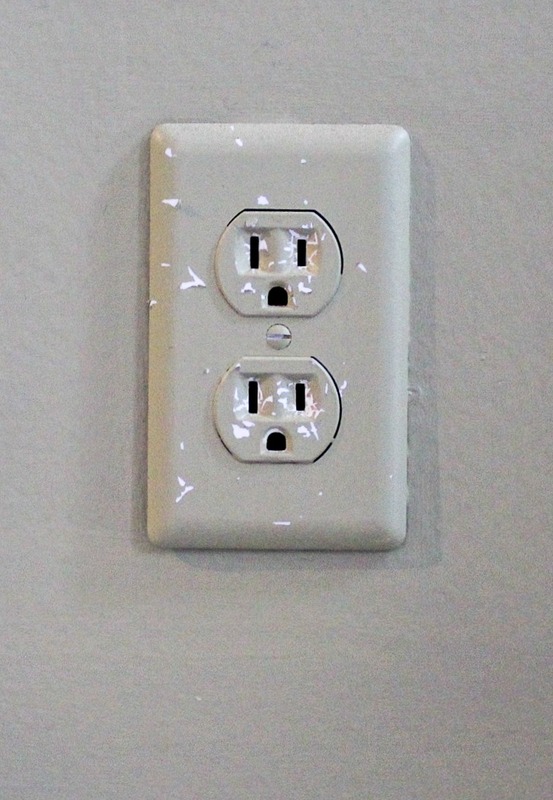 Note to self: never ever paint your electric outlets, ever again! Behold these fresh new outlets! There are two things I love about them. The screwless wall plates are AMAZING! And they have two USB charging ports, um, yes please! 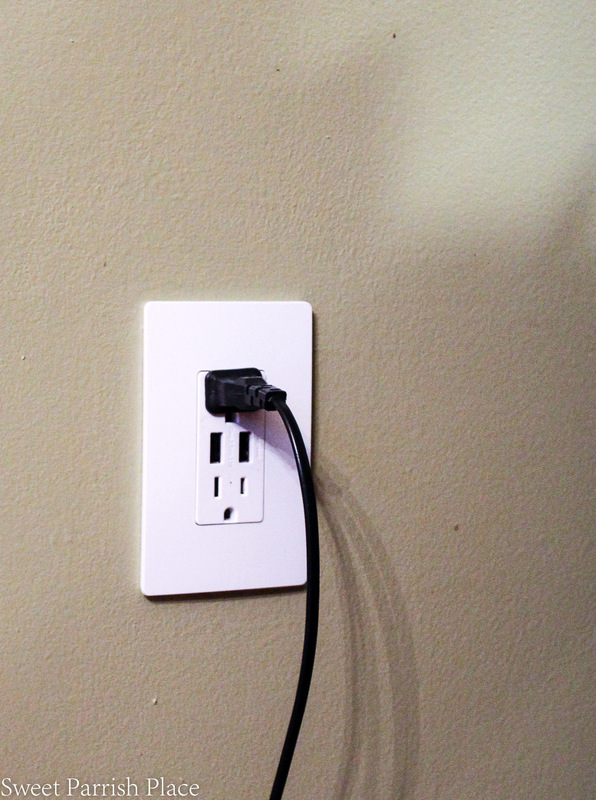 You can charge two USB devices while also using both receptacles, all at the same time! 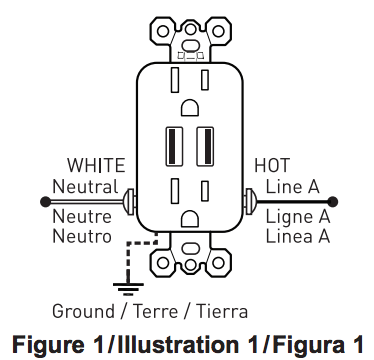 These outlets and wall plates are part of the Legrand radiant Collection. And I must say, I am loving the fresh new look! Let me start by saying I am not an electrician, and neither is my husband. But my father in law is an electrician, and he came down and supervised while my husband changed these outlets. We probably could have done it without him, but we felt more comfortable having him around, and now that we are confident about the process, we would definitely take this on on our own the next time! Always start any electrical work by turning the power off at the breaker. We completed this during daylight hours so we wouldn’t need electricity. Remove the old outlet cover. Double check to be sure the power is off with the circuit tester. Label the wires connected to the outlet. Unscrew the screws holding the wires onto the terminals and gently pull the wires loose from the outlet. Strip wires to length of 1⁄ 2″ using gauge located on device strap. Use #10 – #14 AWG solid or stranded wire. Install device per below wiring diagram. And that is all you need to do! I have a few more photos to share of this update to our outlets. The look is so much more fresh and clean. And not only does it look better, it is more functional for our family, because we can now plug in USB devices right tot he wall. It’s awesome! 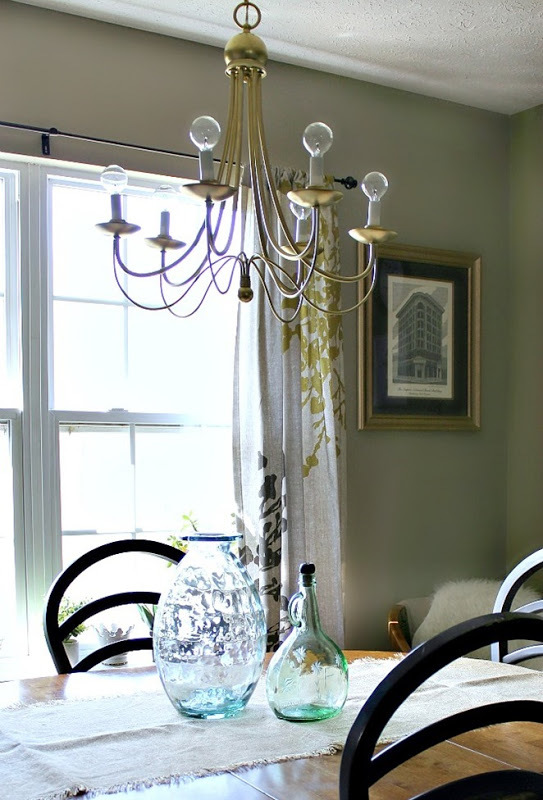 I chose to do our dining room because it also functions as our home office, and the entire family uses this space on a regular basis. I didn’t change out every single outlet to ones with USB chargers, I only did two of these. One next to the dining table and one next to our desk. 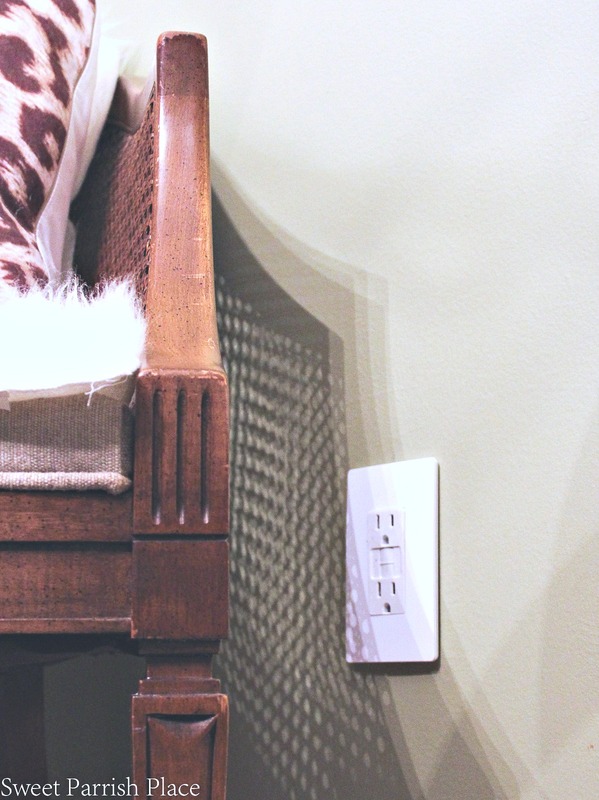 the rest are regular wall outlets, but they still look far better than the before photos. This outlet below shows you one of the outlets that does not have the USB ports. Still fabulous! 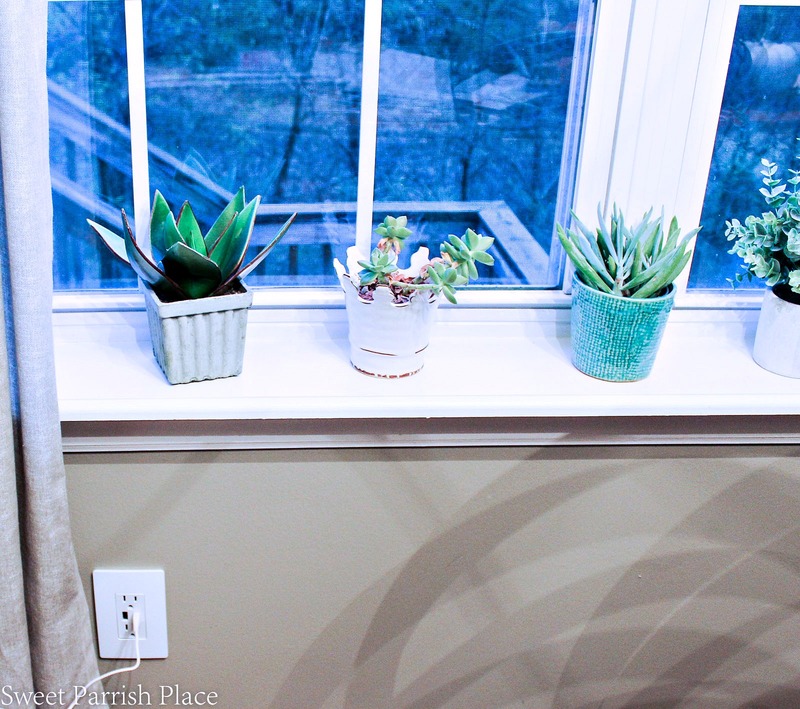 If this is something you would love to update in your own home, don’t be shy about it! If we can do it, so can you! Like I said, we did have an electrician supervising it, just because he happens to be family. But my husband is the one who did all of the work himself. this project was finished in less than three hours. Thank you so much to the folks at Legrand who made this little update possible for us! If You Like It, Then You Wanna Put A Pin On It! Do you have champagne taste and a tiny budget too? I sure love the new outlets, especially the ones with the USB port. Electricity scares me but you made it look so easy. Thanks so much! It wasn’t as intimidating as we were expecting it to be! 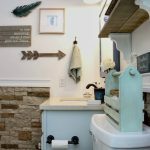 My electrical outlets and wall hangings will never be the same after I saw this article, very good, great tips, I loved it. Nice post Nicki!! I am glad you had an electrician watching over you guys!!! Dan recently posted…The Best Work Boot For Electricians! Boots With Safety and Comfort. Thank you for sharing this. Some people do not consider updating their electric outlets or wall plates. Anyways, great read and thank you for sharing this. Also, it’s cool that this one has a USB outlet on it, hoping I could find one here in my place. Cheers! I love your post. You have good knowledge about outlets. I will follow this guide in future. Totally love your post! I love how stunning it is after you update things, it just looks so awesome! Will absolutely bookmark your post for future reference when I get to update mine too! Thanks! Will absolutely bookmark your post for future reference when I get to update mine too!